This recipe was originally from a book of written recipes that Woz received as a giftie (not sure if it was that person’s recipe or if they took it from somewhere else). I have edited the recipe a little bit and I use a different frosting recipe. These are delicious and I have loved them from the first time they met my lips (and hips), that is for sure! It may not be common knowledge but I am now a corporate drone and work for HP (I actually like it a lot). The reason I mention this is because my team regularly brings in food and not so long ago I made these delectable buns for my teammates. 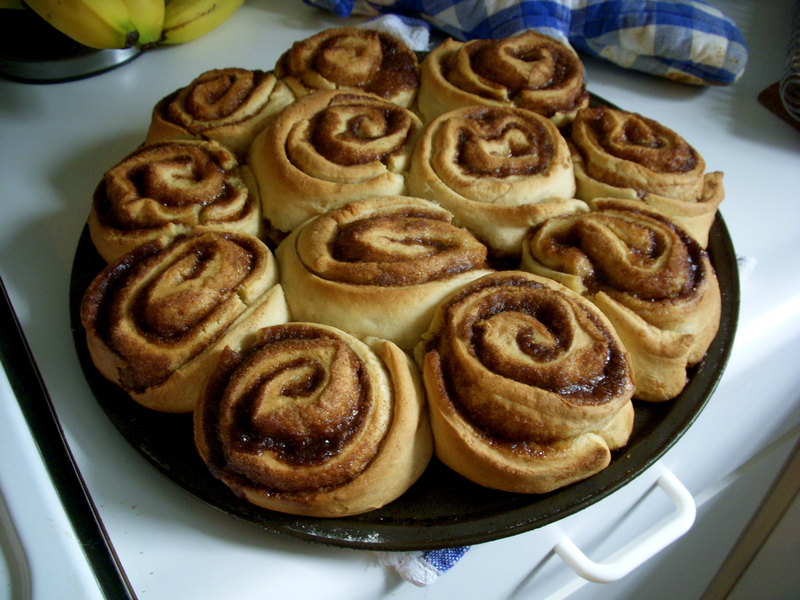 They disappeared in minutes, bun appétit (bun… I mean pun most definitely intended). Mix yeast, sugar, and soymilk in large bowl. Let stand until foamy. Add “eggs”, margarine, flour, and salt. Mix well. Knead for 5-10 minutes until firm and smooth. Set aside in a covered bowl and let double. Turn out on a floured surface and let rest for 10 minutes. Combine the brown sugar, cinnamon, and nutmeg. Roll dough out into a 16 X 21 rectangle, spread with margarine and sprinkle with brown sugar mixture. Roll up and cut into sections. Place rolls in a baking pan, cover and let double. Preheat over to 400 and bake for 15 minutes. 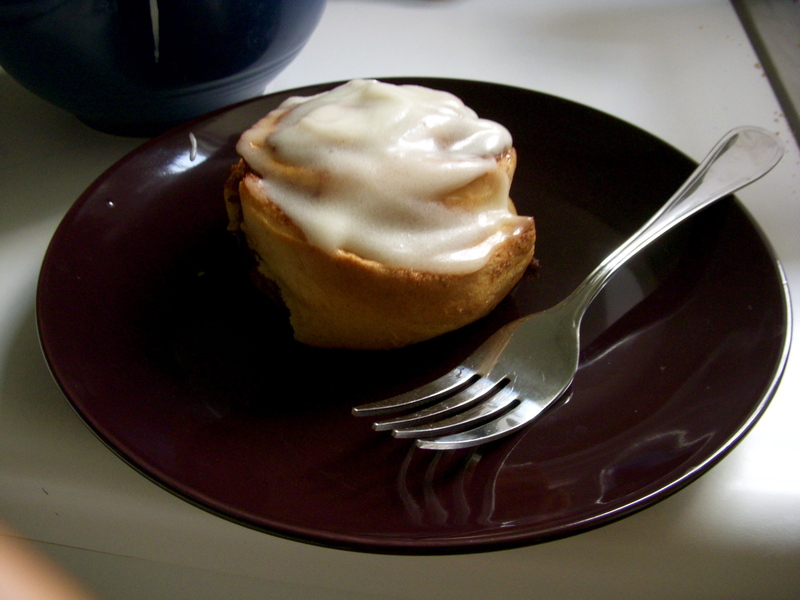 Cover with frosting while still warm.